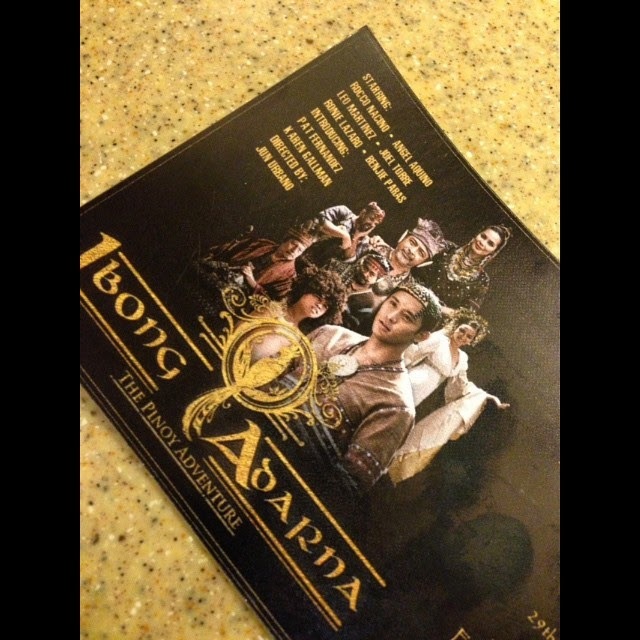 Rocco Nacino Stars In "Ibong Adarna The Pinoy Adventurer"
We watched the movie of Filipino legendary story "Ibong Adarna" top billed by the good looking hunky GMA lead actor Rocco Nacino. He is also joined by a stellar cast including Angel Aquino, Joel Torre, Leo Martinez, Ronnie Lazaro, Benjie Paras and Directed by Jun Urbano aka Mr. Shooli. The story revolves around a Datu's son who just wanted to heal his father's illness brought about by a curse sent by a local witch. He needs to go to a far flung place in order to capture a sacred bird whose voice would be the only cure and to keep him alive. Rocco in the story didn't pass off too much as a warrior hero like what we're used to see in previous adaptations and we saw a more sensitive, courageous son who was only fighting for his Father's life. I initially thought it was going to be a little corny because of the trailer but when I watched it, the actors were really good especially Benjie Paras and Leo Martinez. You'll also be touched on some of the scenes with Angel Aquino and Rocco and feel like you have to go back home after the movie and hug your Mom afterwards. It's truly going to be a hit with the kids because I saw a lot of them appreciating it during the premier night. They even clapped when the scenes were great which is a sign that they understood it's message. If you have kids at home, I highly suggest you bring them there. The film shows on a few selected theaters like Gaisano Mall Davao, Robinsons Movieworld Galleria, Iloilo and Metroeast, SM City Fairview, Manila, Marikina, North Edsa, Olongapo and Pampanga. SM City Rosales, Sta. Mesa, Megamall, Star Mall Alabang, Edsa Shaw and San Jose Del Monte Cinemas. Check out the local mall screenings so you guys can give your kids a treat this weekend! Congratulations Rocco and the rest of the cast! I hope you get to show this movie later on as part of the Elementary Education curriculum in public schools where they need inspiration. It'll surely benefit them!